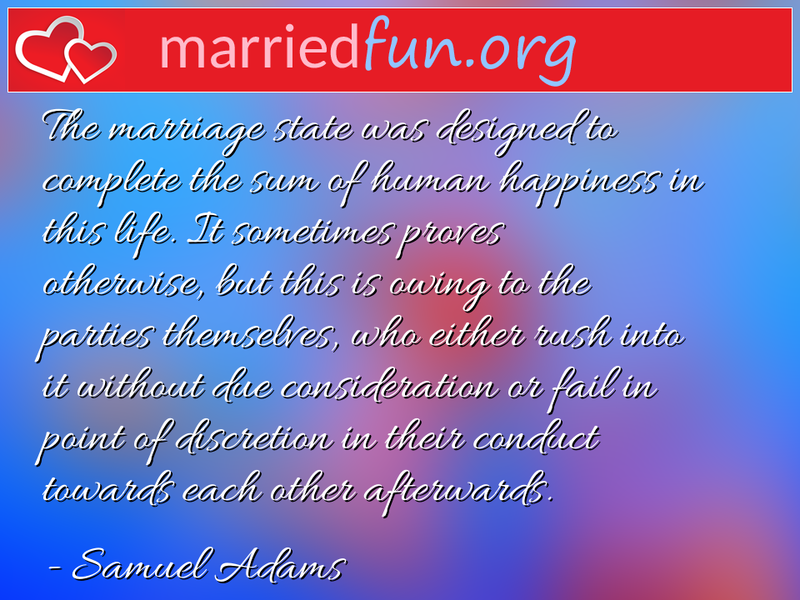 Marriage Quote - The marriage state was designed to complete the sum of ... - Married Fun! The marriage state was designed to complete the sum of human happiness in this life. It sometimes proves otherwise, but this is owing to the parties themselves, who either rush into it without due consideration or fail in point of discretion in their conduct towards each other afterwards.